This article shows you that how to install and configure Openstack Horizon Dashboard Service on Linux. In the previous posts, we have covered the below topics which also a main part of the whole Openstack Deployment. Refer those links to understand this topic from beginning. 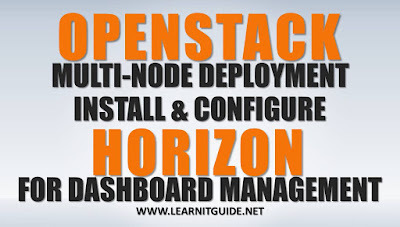 Lets get started, continue with the previous post, we show you how to install and configure Openstack Horizon Dashboard components on controller node (node1). The OpenStack Dashboard, also known as horizon is a web interface that enables cloud administrators and users to manage various OpenStack resources and services. The Dashboard enables web-based interactions with the OpenStack Compute cloud controller through the OpenStack APIs. Horizon enables you to customize the brand of the dashboard and it provides a set of core classes and reusable templates and tools. 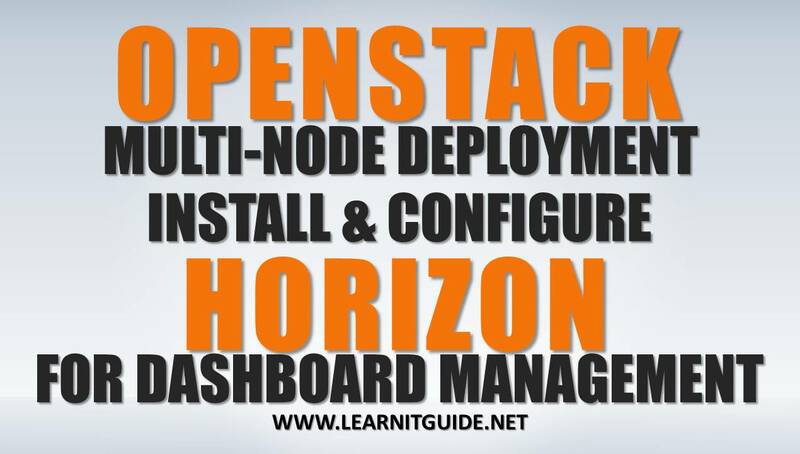 Openstack Horizon Dashboard Installation and configuration on Node1 (controller node). Install the required packages for Openstack Horizon component. Replace 'node1' with your controller node name and comment out any other session storage configuration. Replace TIME_ZONE with an appropriate time zone identifier. Enable the web server and session storage service to start when the system boots. Restart the web server and session storage service. More topics will be added soon. stay connected with us on social dashboard sites and Subscribe our YouTube channel for more updates.